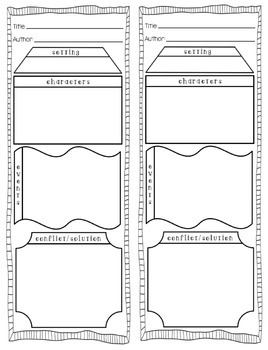 Have your kids complete this story elements bookmark as they read a book. The bookmark includes the title, author, setting, characters, events, and conflict/resolution. It is in black and white and can be colored. This is great because it keeps kids thinking and writing as they read!